Have you ever been in a situation where you have needed to sign forms and send them to another party in a very short period of time? Signing documents electronically can save you time dealing with forms. 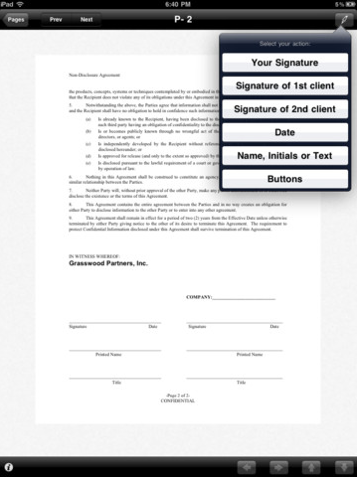 EasySign for iPad is a handy tool that allows you to sign important documents right on your tablet and save yourself some time in the process. EasySign supports PDF, HTML, Word & Excel, and popular image file formats. It can store signatures for up to 3 people. You have various ink colors, text styles and date formats to choose from. I personally have an easier time signing with my stylus. But you can just use your finger to do the job. You get to sign 3 documents for free. Upgrading to the pro package gives you an unlimited number of signatures. You can also buy them in bundles. EasySign for iPad works with Dropbox. Importing documents via e-mail is pretty neat. 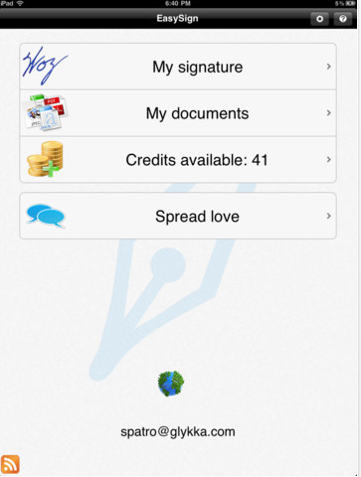 Users can import their signature as a photo file. Your signature history is only a tap away in this app. All in all, a pretty solid tool for those of you who use your tablet for business.